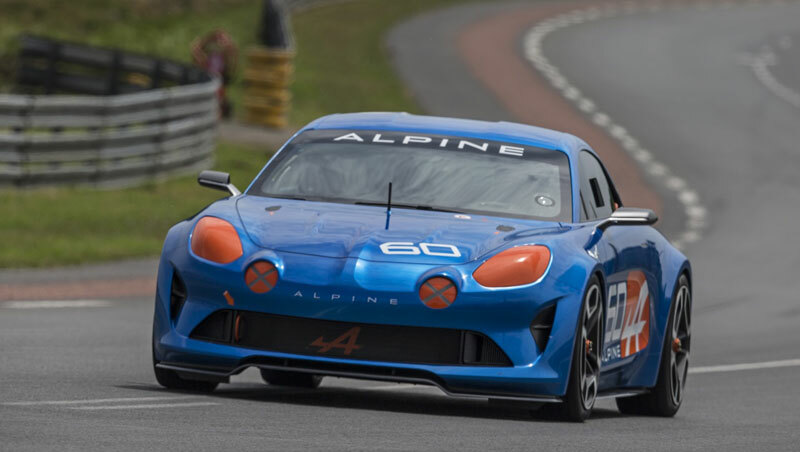 This is a undoubtedly a pivotal year for Alpine. 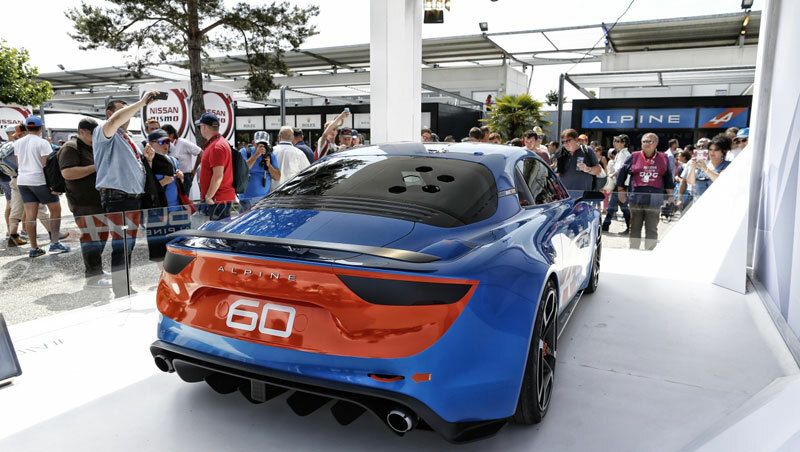 After the spectacular surprise of Alpine Vision Gran Turismo, the real-life concept car that caused a sensation by emerging from the GT6 video game early this year, Alpine went on to unveil Alpine Célébration, a show car to run on the mythical Le Mans racetrack. Read on for a closer look at this spectacular racer. 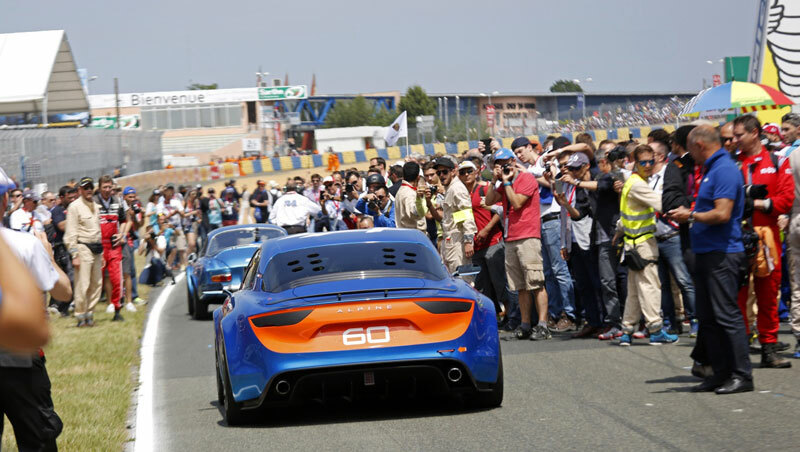 A festive atmosphere reigned under the glorious sun at Le Mans this Saturday. 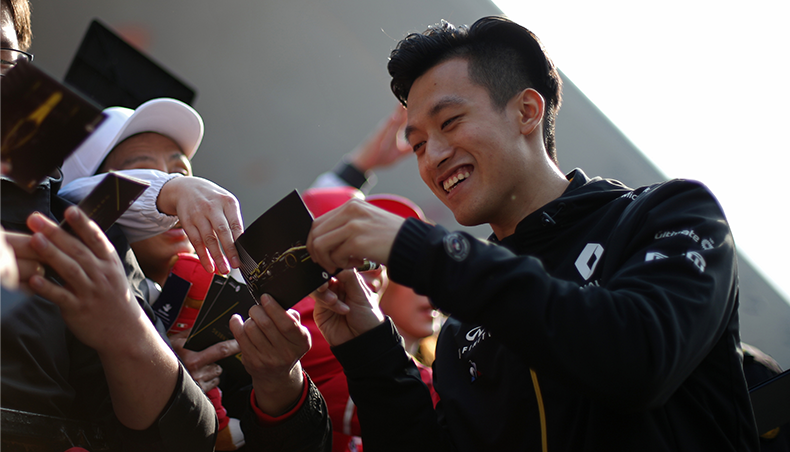 The audience of more than 250,000 fans had been primed to expect something big. Early in the week the social networks had been announcing a major surprise for Saturday 13 June at 13:35, as a prelude to the 24-hour event. 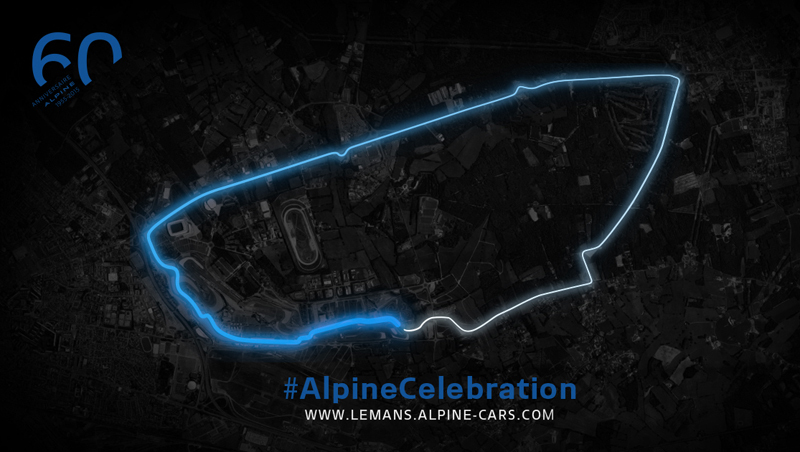 There was a countdown on www.lemans.alpine-cars.com and the #AlpineCelebration hashtag was set up specially for the occasion. 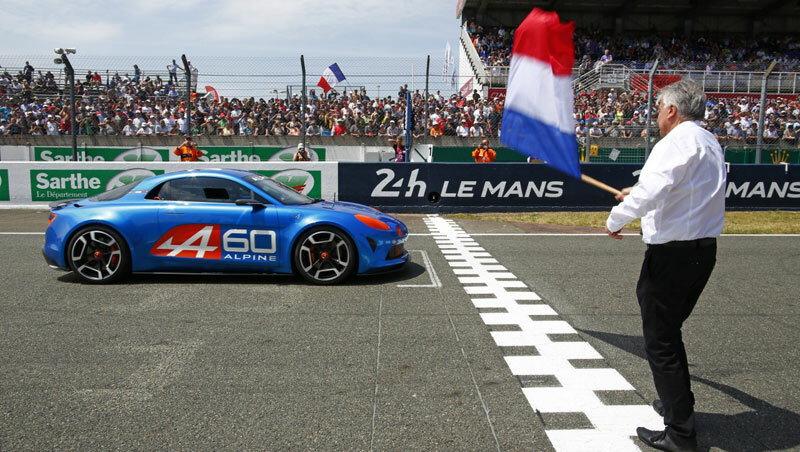 At 13:35 sharp, Alpine CEO Bernard Ollivier raised the French flag to launch Alpine Célébration on the mythical circuit, following in the slipstream of the legendary A110. This moving and highly symbolic sight raised deafening applause from the track officials, the runners readying for the big race, and the audience, most impressed by the spectacular show car. Later on they'd be flocking to take its photo in the 24-hour trackside village. 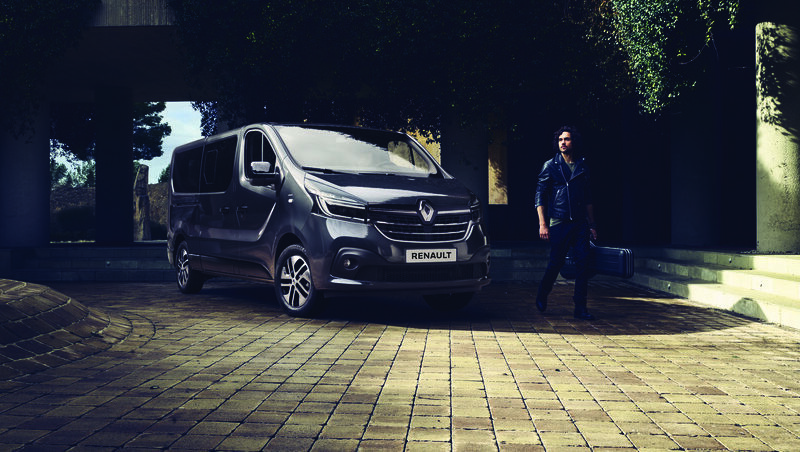 A hint of the Berlinette to come? 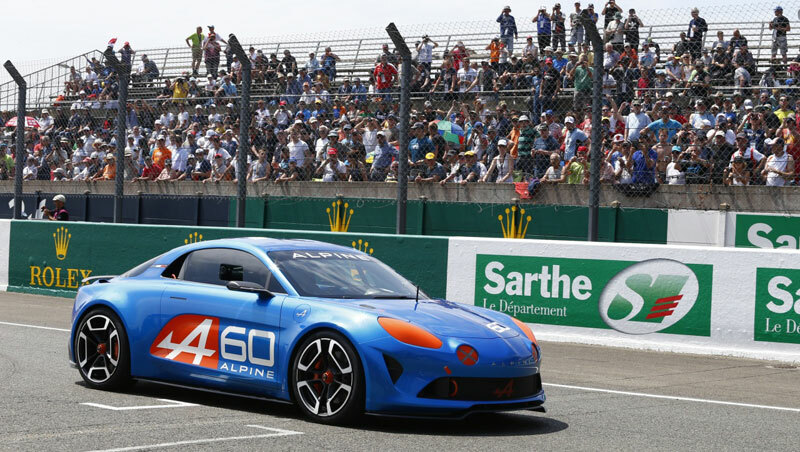 Judging from the smiles on the spectators' faces and the incessant clicks of their cameras and smartphones, the Alpine Célébration sports show car is a tremendous hit. 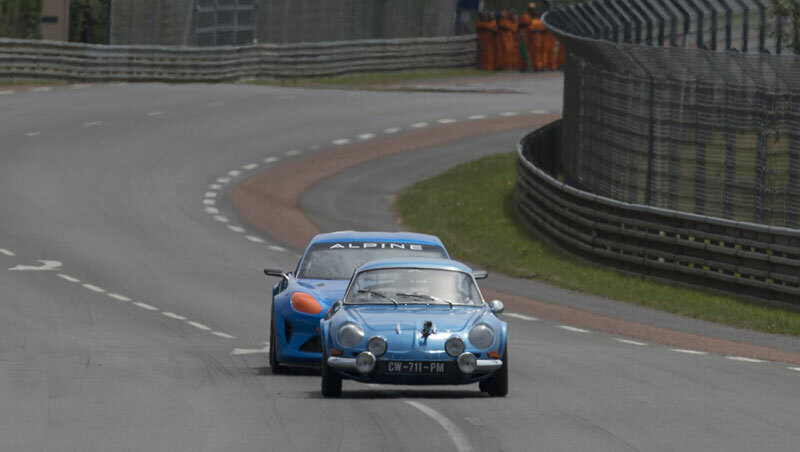 It combines many a nod to the mythical models that made Alpine's glorious past, plus many a hint to the details we might expect from the forthcoming production Berlinette. With its low profile, raked bonnet, sculpted sides and characteristic rear window, Alpine Célébration clearly boasts the genetic make-up of its fabled elders. The masked dual headlamps and round central lamps are a clear reference to the A110. 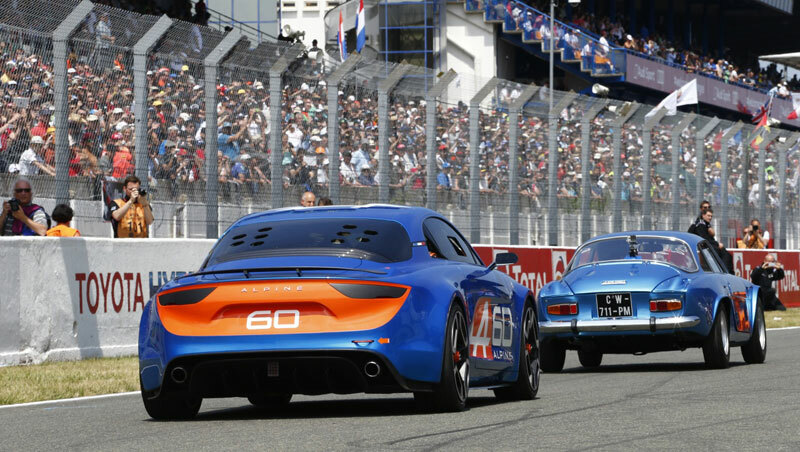 The wheels are inspired by the A110 and A310 of the seventies, showing the generously sized brake disks and the orange callipers, as on the Alpine VGT. But while drawing proudly upon familiar style and values, the show car is indubitably future-looking and eminently attuned to its epoch. Carbon features highlight the more technical body features, such as the spoiler, sills, diffuser, rear vents and wing mirrors. 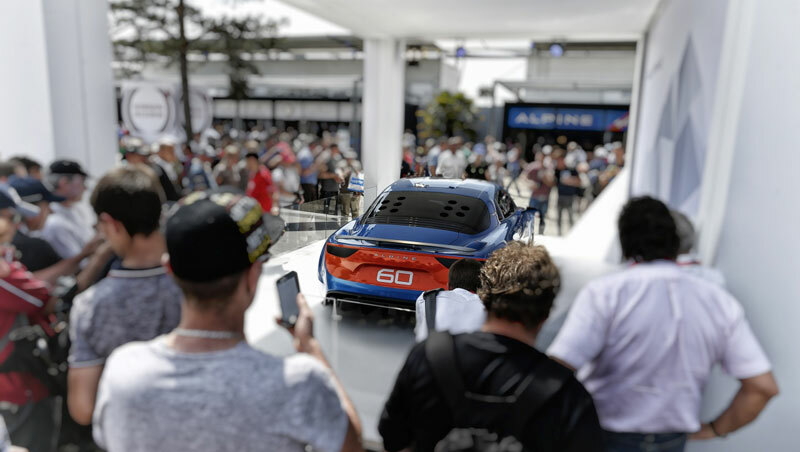 Intrigued and inspired by these two design exercises, one highly futuristic and the other sport-oriented, we're eager to see what Alpine has in store for us in the months to come. One thing is sure: things are on the move at Alpine. With their stylistic replays and tributes to a glorious past, both concept cars give us a tantalizing insight into what we might expect. 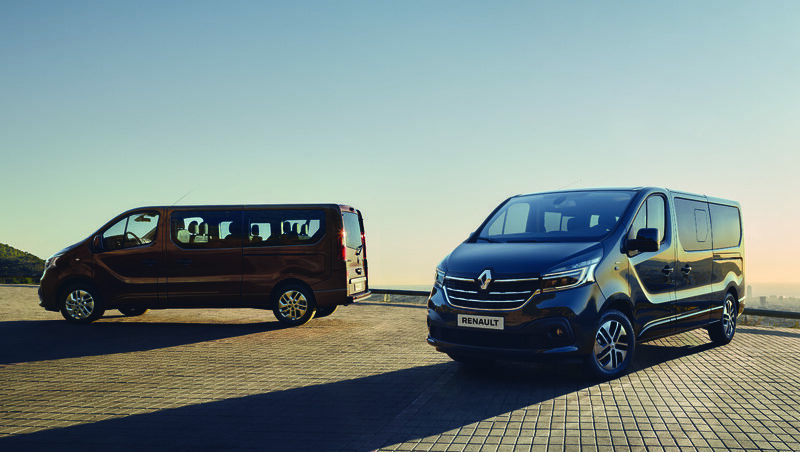 Each will doubtless have his own idea of what the new Berlinette will look like. 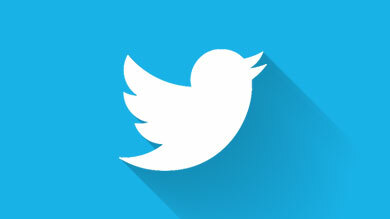 More explicit hints will be coming in a couple of months. In the meantime, the suspense is high.